That's a pretty cool move! The next time you need some inspiration, take a page from Starbuck Malaysia's playbook. The coffee chain recently unveiled a series of new billboards all around the Klang Valley. Here's the cool thing about them: the billboards were designed by their customers - and they didn't even know about it! 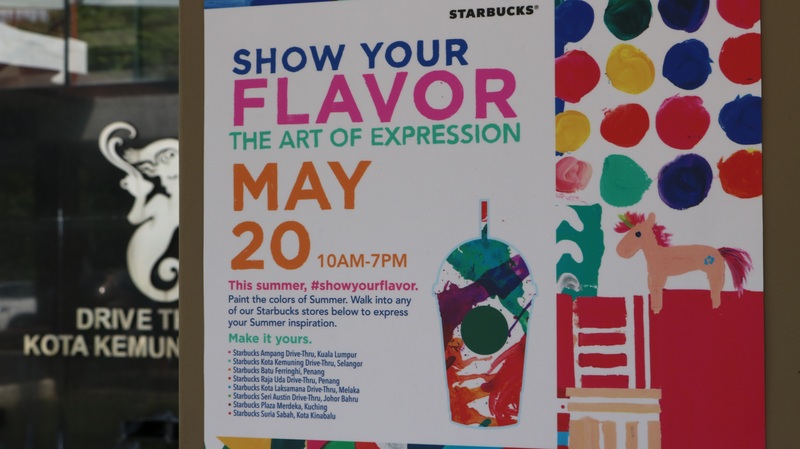 Over the course of a weekend in May, Starbucks Malaysia invited customers to showcase their creativity through their community art project called The Art of Expression. 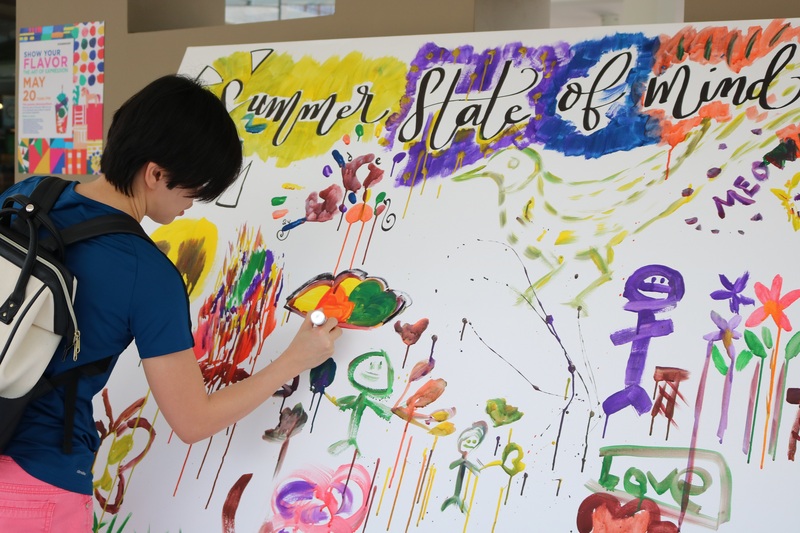 Held in conjunction with Starbucks' summer campaign called “Show Your Flavour”, the Art of Expression project allows Malaysians from all walks of life to express themselves throught colours and art. 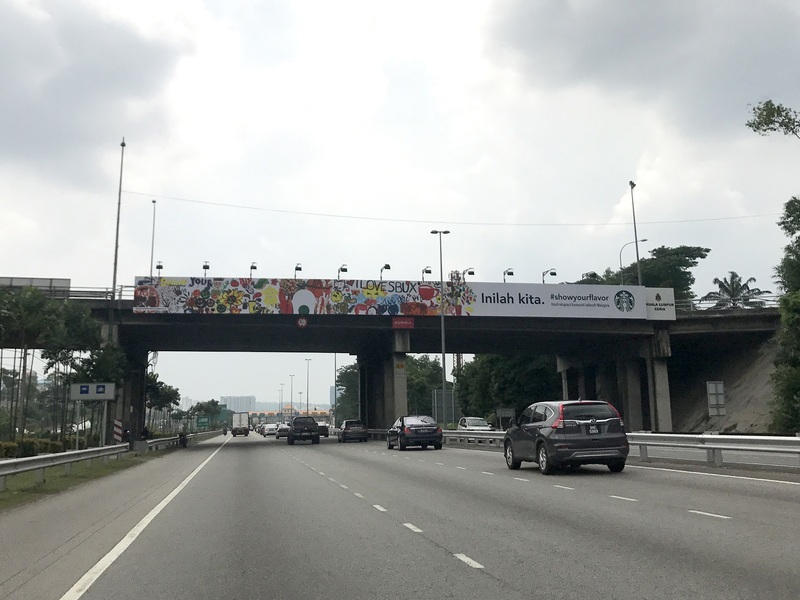 So how did they 'trick' Malaysians into designing the billboards? 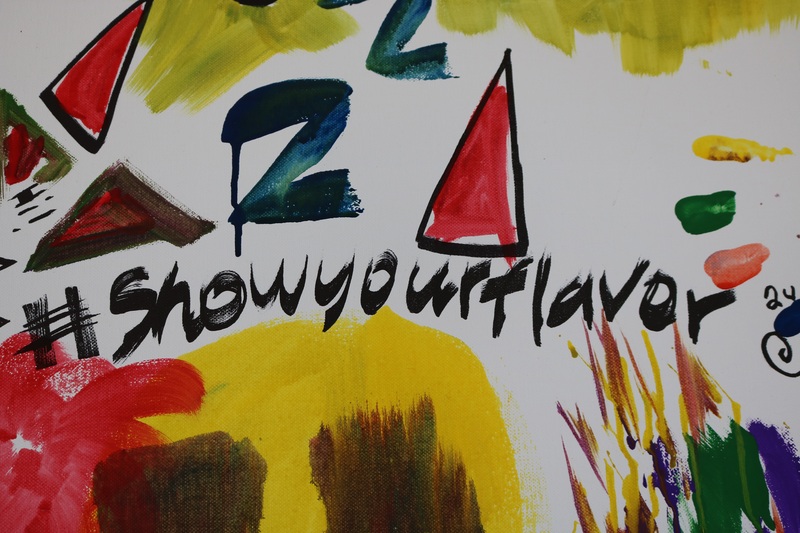 On 20 May, Starbucks Malaysia placed eight blank canvases at selected outlets nationwide. Customers who visited the stores were invited to leave their mark on the canvases - either by painting a picture, leaving a message or plainly just splash some colours on the sheet of paper. 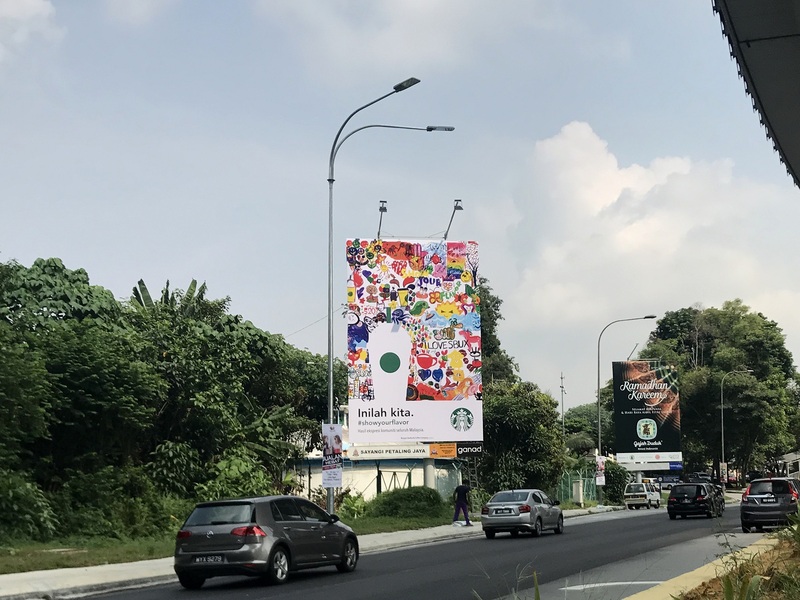 According to Starbucks Malaysia, they wanted Malaysians from all walks of life to ‘show their flavour’ and showcase their artistic talents on these canvases. 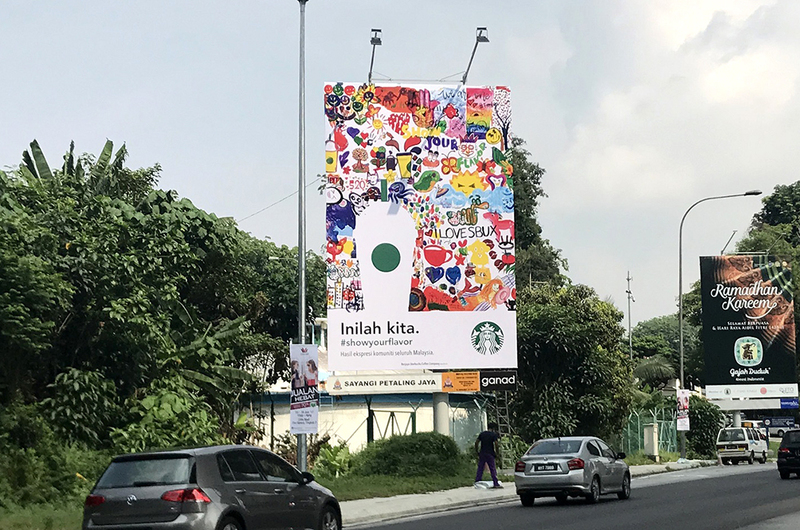 So, all the colours, drawings and doodles you see on the billboard are "a genuine expression from the young to the old", Starbucks added. Look ma, I designed that billboard! Little did they know, Starbucks Malaysia had a plan for these canvases. 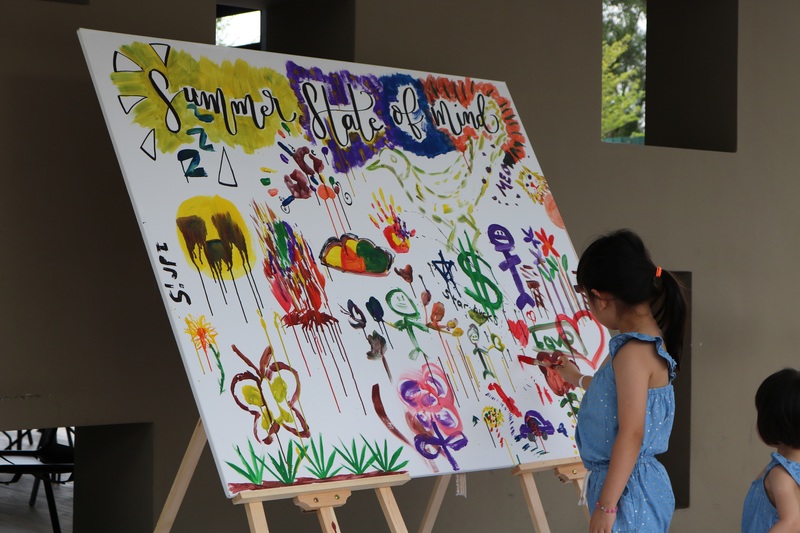 After the event, they set out to enhance the vibrant artworks into massive billboards. The individual canvases were combined into a giant masterpiece and showcased on billboards for all Malaysians to view! If you want to check out the billboards, you can head over to Rawang Highway (KM 440.75 Sungai Choh – Rawang), The Mines, Kerinchi Highway, Taman Tun Dr. Ismail, Juru Auto City and Tropicana City Mall. To those of you who contributed to the billboards, congratulations: you're now a part-time billboard designer.